Hi all! Its been a LONG time since I’ve made my last post, but with all my preparation for my final Virginia Scholastic State Chess Championships coming up this weekend. As I mentioned back in January, my goal is to finish 1st in the High School section, a feat I have never accomplished before. While I hope to have more posts on a regular basis starting next week, I wanted to share this with you all. 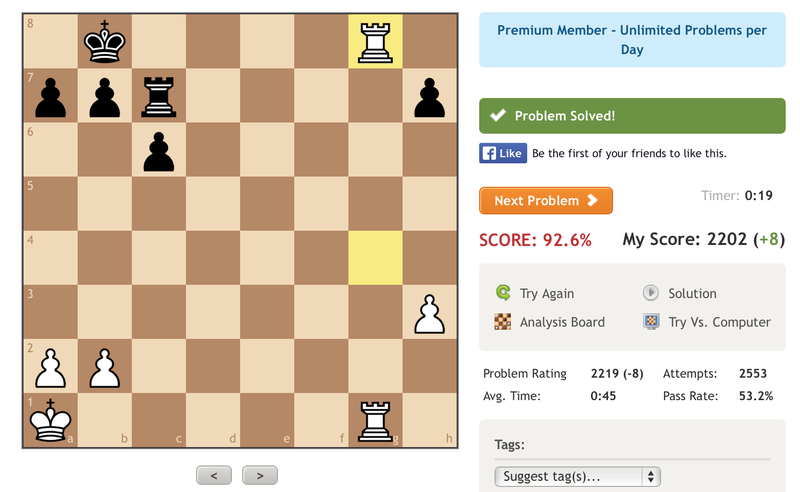 I’ve never broken 2200 on chess.com’s Tactics Trainer before, and just two weeks ago I was in the mid-1850s, rarely getting problems completely correct. 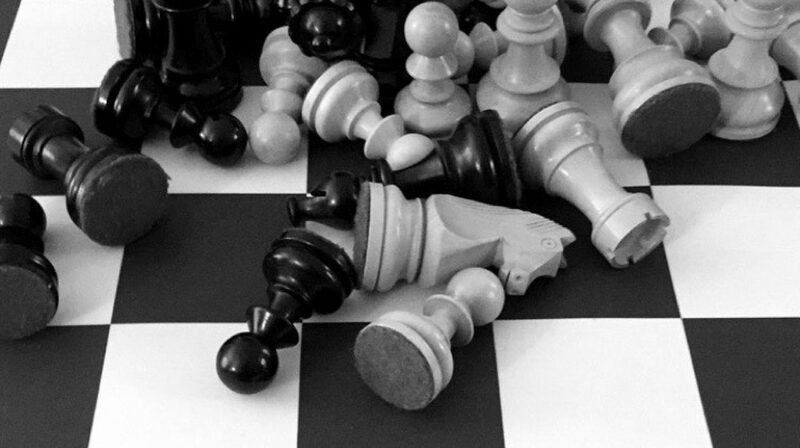 I’ve heard a lot of complaints from many players over the years about chess.com’s Tactics Trainer, and myself being one of them, here is how you can fix your problems. 2) If the opponent makes a move, ask what good and bad things this move does and HOW IT CHANGES the position. If you bring this mentality, you are more likely to use the mindset you will have in a chess tournament. Practice the way you play, this will push you to use more time and look deeper. 3) Consider every move. Turning off the timer puts less pressure to make instinctual moves, allowing you to fully delve into each puzzle. In short, take your time!